In this book a leading Catholic author and scholar finds evidence that for six centuries, women were ordained as deacons in the Catholic Church. Whether women can be ordained as deacons is under debate and publication will coincide with the Vatican's pronouncement. Great publicity is likely to follow. A positive encouragement to all who are conscious of the benefits that the ministry of women might bring to today's Catholic Church, this book looks to the past for inspiration for the future. 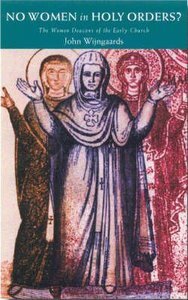 From the 3rd to the 10th centuries, women were ordained as deacons and translations of ancient liturgies show how they carried out numerous sacramental rites and were responsible for the community of faith. Since the Middle Ages, the Church has said only men can be deacons. This brave book asks how can this be so? About "No Women in Holy Orders?"